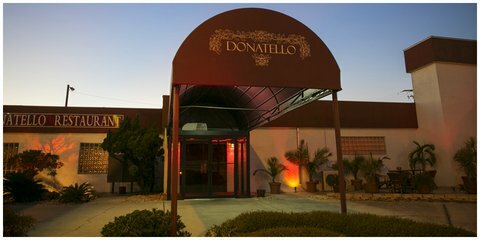 Donatello Italian Restaurant, Tampa Florida - Save on Restaurant Certificates with SkyAuction! 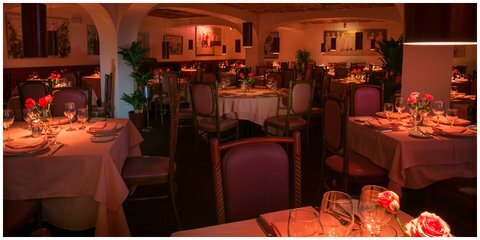 Guido and Gino Tiozzo welcome you to Donatello, a four star restaurant serving Fine Authentic Italian Cuisine since 1984. Guido learned his trade at Savoy Hotel in London and Hotel des Bergues in Geneve, two of the top restaurants in Europe, and with the acquired experience he opened restaurants in London and Venice. In 1984 he opened Donatello, in Tampa. The italian staff, donning fine tuxedos and enticing italian accents, welcome you into the rose colored atmosphere and the rich aromas of pastas, seafood and more. You'll be welcomed and catered to from the first sip of wine to the exquisite culinary creations, right down to the roses you'll receive at the end of your experience. Donatello’s motto is "quality and tradition" you’ll see for yourself that hospitality in Italy has ancient roots.